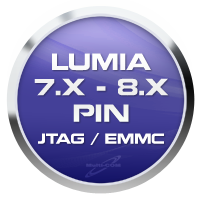 Read PIN from Nokia/Microsoft Lumia 7.x/8.x (JTAG/eMMC) is a service of reading PIN/Lock code from Nokia/Microsoft Lumia 7.x/8.x based phones. The service is non-invasive, it means that the phone does not need to have enabled bootloader - does not make any changes to the phone (not solder anything in phone), We do not interfere in the data and not upload anything to phone - for readign process using unique VR-Table diagnostic table that allows to make JTAG/eMMC operations without soldering. 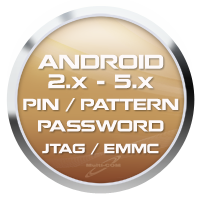 Read PIN/Password/Pattern Lock from Android 2.x.x-5.x.x (JTAG/eMMC) is a service of reading PIN/Password/Pattern Lock code from Android based phones. The service is non-invasive, it means that the phone does not need to have enabled USB debugging or programmer mode - does not make any changes to the phone (not solder anything in phone), We do not interfere in the data and not upload anything to phone (Recovery etc.) - for readign process using unique VR-Table diagnostic table that allows to make JTAG/eMMC operations without soldering. 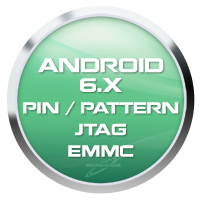 Read PIN/Pattern Lock from Android 6.x - Gatekeeper (JTAG/eMMC) is a service of reading PIN/Pattern Lock code from Android based phones. The service is non-invasive, it means that the phone does not need to have enabled USB debugging or programmer mode - does not make any changes to the phone (not solder anything in phone), We do not interfere in the data and not upload anything to phone (Recovery etc.) - for readign process using unique VR-Table diagnostic table that allows to make JTAG/eMMC operations without soldering.